What an adorable little book this was!!! Santa eats a little too many cookies and becomes stuck in the chimney of a house on Christmas Eve. 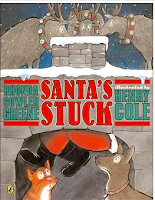 The dog, the cat, the reindeer, and a mouse try to free him. Here is an adorable craftivity from All Students Can Shine. 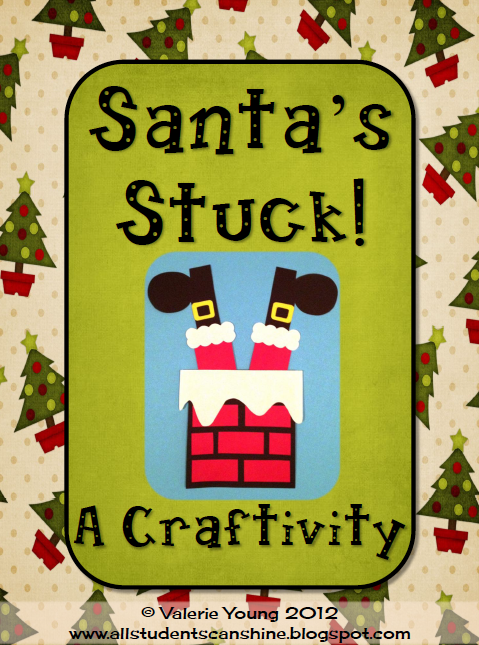 Included in this FREEBIE are the pieces to make the craft and writing papers to write about how you would help get Santa out of the chimney. I haven't done this yet (it's amazing how quickly you run out of time around the holiday season), but I know my kids would love this activity. I have featured you in my newest blog post. Happy New Year!